ArtisansOfAmerica: Celebrating 1,000 new wands! The 2018 started off with an exceptional crop of lavender. To celebrate the first 1,000 wands of this season, here is a new huge lavender wand I made with a kind of ribbon called Jacquard. The pattern on these ribbons is not printed on the surface, it is woven into the ribbon! This kind of ribbon is not easy to find, and what is available, can be expensive. So I will only be using these special ribbons for a few of my huge wands. 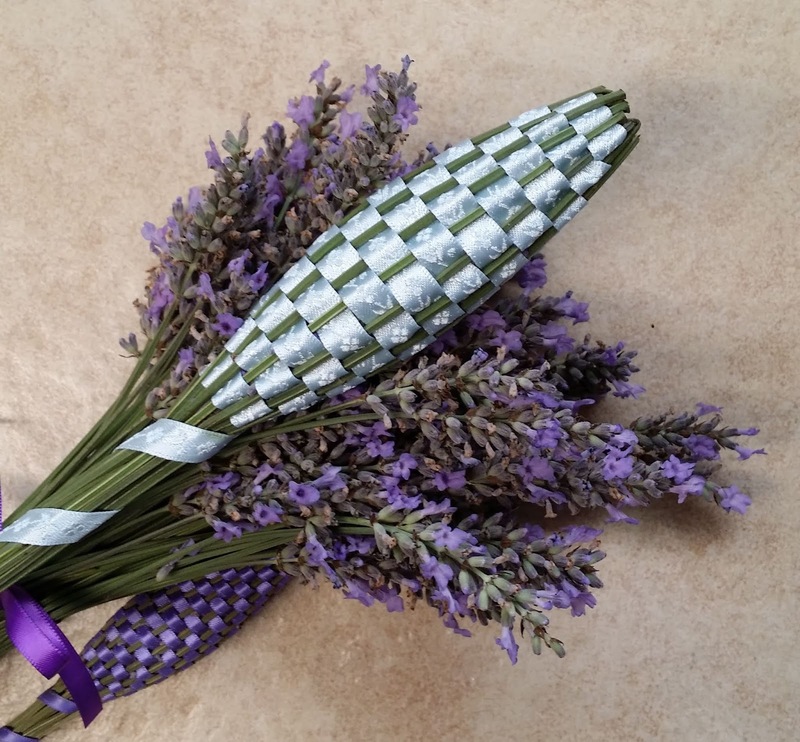 Wands this size are few because out of the more than 35,000 stems of lavender I use each season, there is usually only enough to make about 100 wands in this size. I put a small seven inch lavender wand made with ultra thin ribbon next to this huge wand to show the size difference. AND, I have decided to go with free shipping on all wands in the small and medium sizes! Not sure yet if I will be able to do this for the large and huge sizes, but I hope so.